In the run up to christmas, it can be hectic with last minute project deliverables and deadlines to be met before the festive fun begins. Whilst it can be a time of indulgence, there are some that are less fortunate and can struggle to make ends meet. This year IMEC’s Perth office are trying to make a difference by donating food to OZ Harvest’s Festive Food Drive. 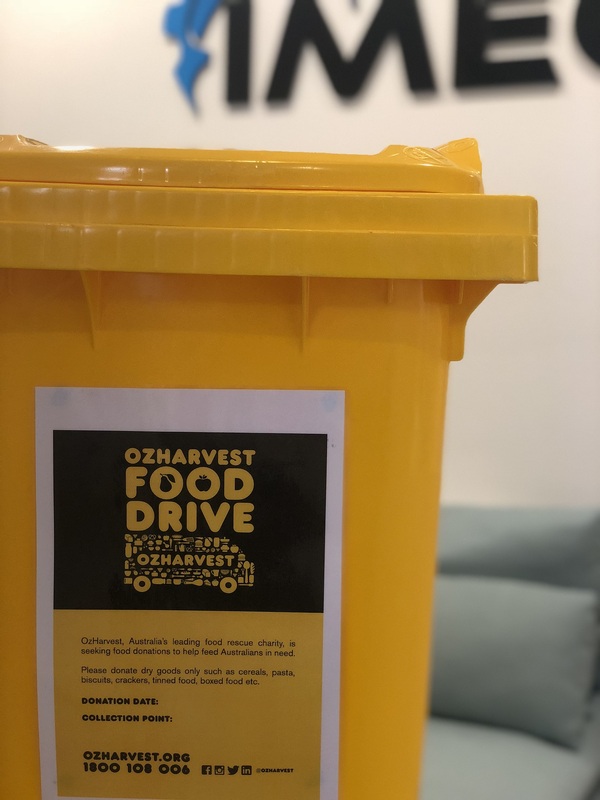 OZ Harvest is Australia’s leading food rescue charity helping to feed Australians in need. We’re calling all our clients, suppliers and friends!!! If you’re passing our office at 51 King Street, Perth, please get involved, donate and help make someones christmas special. All dry goods (cereals, pasta, biscuits, crackers, tinned) welcome!!! !